The true purpose of a restrictive covenant is to protect the amenity of one area of land from unwelcome activities on another adjoining or neighbouring area of land. 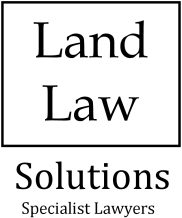 This is a fascinating branch of Land Law and one which can be both complex and problematical. The object of our advice in this area is to provide clients with clarity at reasonable cost. Whilst restrictive covenants may have been perceived as being more important at a time when there was no effective Town and Country planning system, this is not our opinion and restrictive covenants have a continuing importance to many landowners. The fact that new housing schemes make maximum use of space often results in high densities. In such situations the amenity of neighbours can be degraded if covenants are not observed. We see numerous situations where clients wish to develop their land but discover that they are potentially unable to achieve their development due to the presence of covenants. Overcoming the burden of the covenants that prevent development or enforcing a covenant which preserves amenity and value are situations which we deal with on a daily basis. We believe we are well placed to advise clients in a highly cost effective way that will assist them achieve their objectives. Whether your land is burdened by a restrictive covenant or whether you have the benefit of a covenant but have concerns for the loss value due to damaging activities nearby, you are welcome to contact us for a preliminary appraisal by completing the contact form or by telephone. We are extremely pleased with the recent outcomes we have been able to achieve for various clients which has allowed them to enjoy the full potential of their land. For further details of our advice in this area please visit our dedicated Restrictive Covenants Website.